Witches and wizards who never received their Hogwarts owl can now attend the College Of Wizardry, where they’ll get a magical Harry Potter experience, minus the magic. After traveling to Poland via your preferred transportation (fireplaces are likely not floo-powder friendly, but there are international airports nearby), you’ll spend four days in the Polish castle of Czocha—which, even if it’s not Hogwarts, it is a legit castle. And the video below sure makes it look as close to the Harry Potter experience as fans can get. Unusually, this Harry Potter role-playing is solely for adults, which, of course, is incongruous with the fact that magical education ends at age 17. That is, unless students want to enter into magical careers that require further training, which is where the Czocha College comes in. “When wizards have passed their N.E.W.Ts at the end of the seventh year, some of them go on to study at even higher schools of magic—the magical colleges,” it says. At the advanced College Of Wizardry, adult students are sorted into five houses: Durentius, Faust, Libussa, Molin, and Sendivogius. 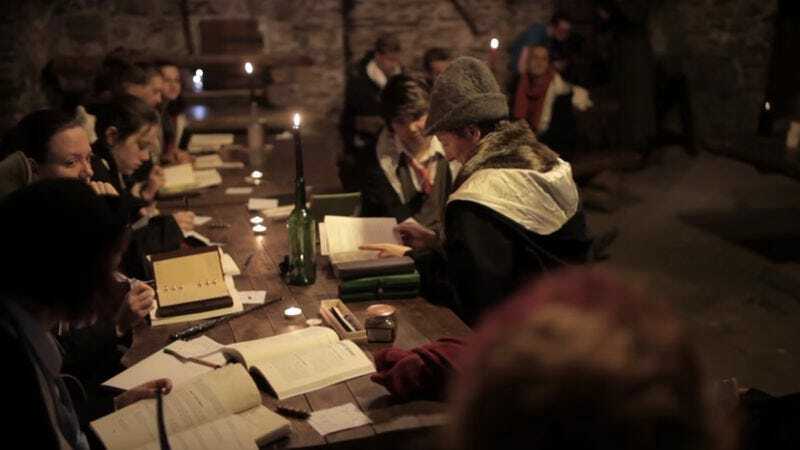 Students pass S.P.E.L.Ls (Senior Protective Enchanter’s Lifelong License) instead of O.W.L.s and N.E.W.T.s, and study to enter the profession of Auror, Curse Breaker, Healer, Magizoologist, or Unspeakable. It all seems very in keeping with the spirit of J.K. Rowling’s world. Around 190 people from 11 countries participated in the first College Of Wizardry experience, and there are two more planned for April 2015. The cost is €280, or $345, and includes lodging and food, as well as one standard robe, black; one standard book of spells; and one tie in the appropriate house color. No word on whether first years are permitted a cat, or an owl, or a toad.